Cleo Ferin Mercury create some of the most unique and gorgeous scarfs including animal themed ones like this one. They are not only super cute but also quite sophisticated at the same time. 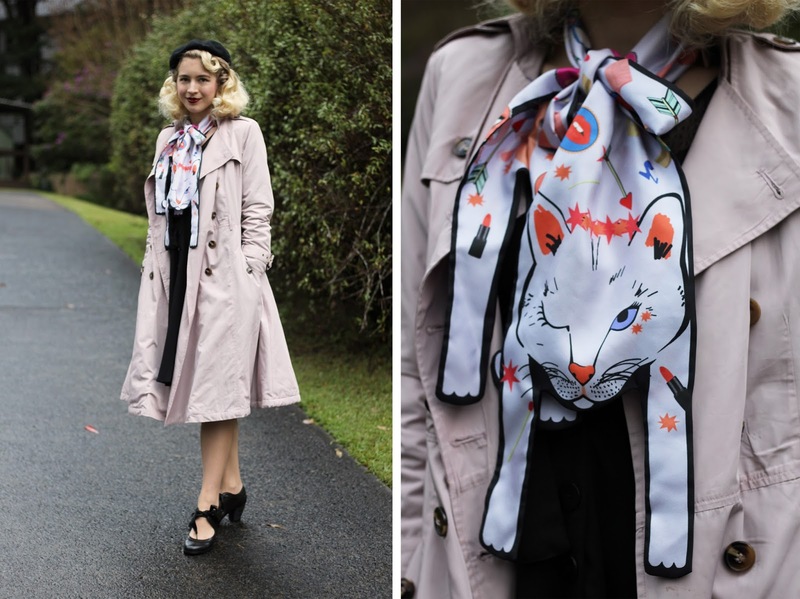 I couldn't resist this scarf in particular as it's just so super sweet and the love potion print + lilac colour really caught my attention. Made of twill silk, this scarf is quite a generous length which makes it perfect for tying into a bow or onto a bag as I have done so in this blog post. It's really beautiful quality and I'm excited to wear it with some of my other outfits! 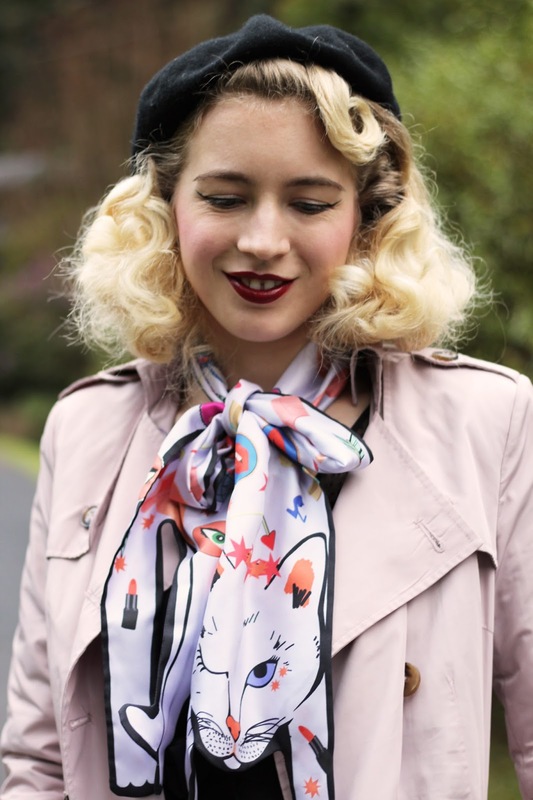 Be sure to check out all of their other scarfs and accessories on offer, they are stunning. I decided to showcase this scarf with the Betty Dress from Rock n Romance, the scarf is the focal point of the outfit and balances out this interesting accessory. With all of the rainy weather lately I was wearing one of my trusty coats too, it has been nice to wear berets again as well... I love a black dress and beret combo like this... 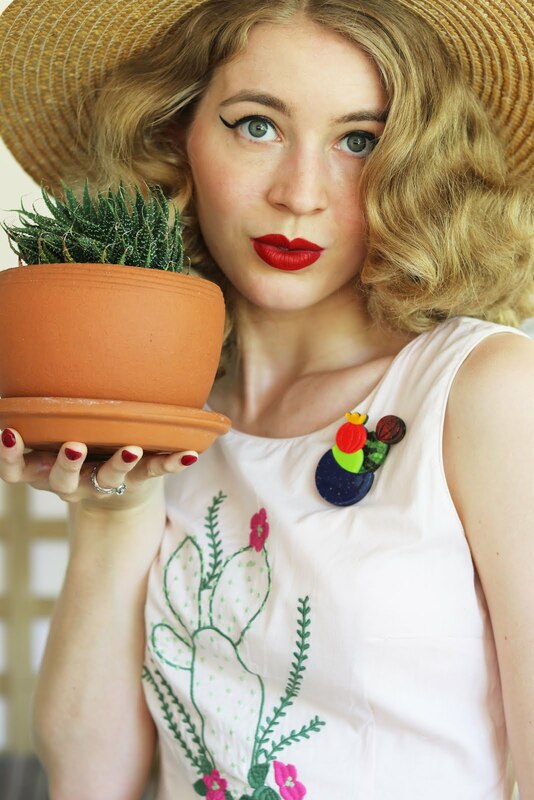 It's a classic but easy look to throw on and always a winner for me! 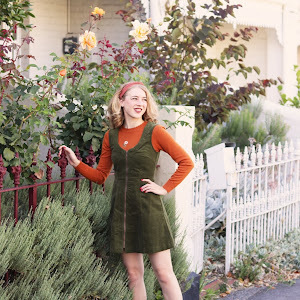 I probably say this every few blog posts but oh my gosh I am hoping that I get a day of sewing in soon, I really want to work on a new project and have another sewing post on the blog... We'll see! 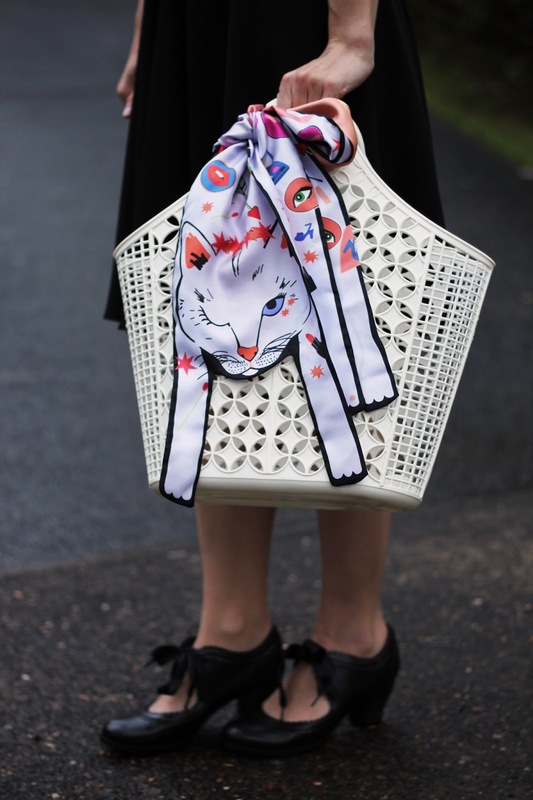 What a fun, unique scarf! It looks perfect with this simple, classic outfit. 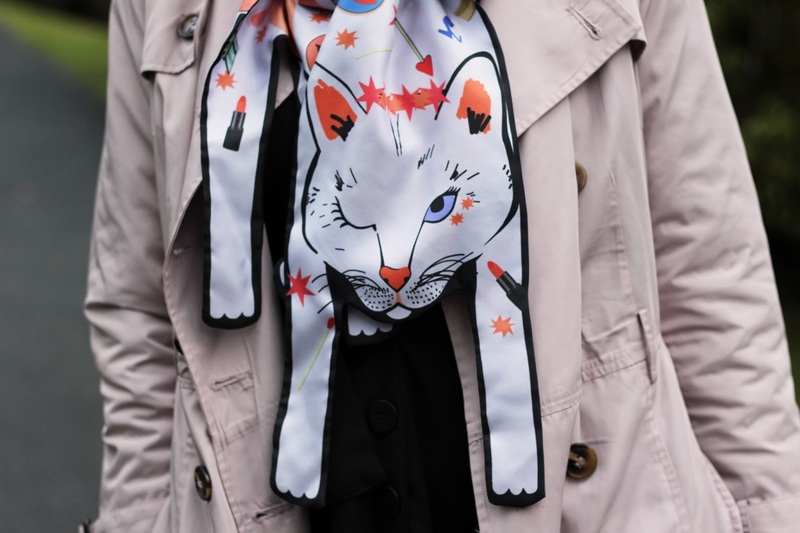 Stylish and beautiful as always, but this cat scarf is just amazing! How adorable! Such a creative design, and you have styled it beautifully!